Backing up and storing files on Google Drive helps keep them safe and make them accessible wherever you need to use them. Learn how to use Google's free cloud storage service. Instructions in this article apply to Windows 10, Windows XP, Windows Vista, Windows 7, Mac OS 10.7, Mac OS 10.6, Android 2.1 and above, and iOS 3.0 and above. Google Drive is an online and offline storage system with word processing power. It includes online word processing, spreadsheet, and presentation tools. It also provides the convenience of a virtual folder on all your computers; simply drag and drop files to sync between laptops, tablets, and mobile phones. All Google Drive users have access to 15 GB of space at no charge. Files you save there, Gmail messages and attachments, Google photos, and items in your Google Drive trash all use space in your Drive. Google Docs, Sheets, Slides, Forms, and Sites do not use space in your Drive. 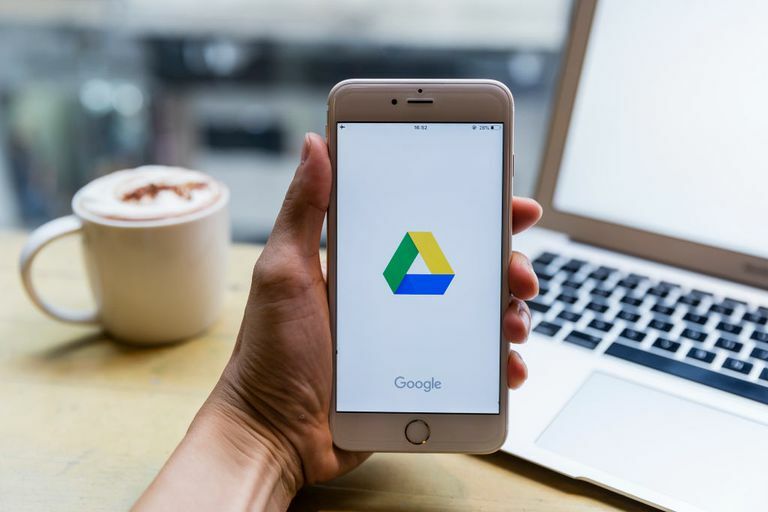 To begin using Google Drive, go to your Google Drive account on a computer or open the Google Drive app on a mobile device. You must sign in to your Google account to use the app. Go to the Download Google Drive web page and follow the instructions to download the Google Drive app. After the app is installed, it creates a virtual folder on your desktop. You aren't limited to using Google Drive on your desktop. Download the Google Drive app to your laptops, desktops, tablets, and phones. Once you have Google Drive installed on your devices, start uploading and accessing files. To upload files and folders from Google Drive in a browser window, select New, choose Upload File or Upload Folder, then find the item you want to upload. Find the file or folder on your computer that you want to upload to Google Drive. Do not open the file or folder. Select the file or folder. Drag it to the Google Drive folder on your desktop or to a folder you have created at Google Drive online. If you are using the Google Drive app, select Add, select Upload, then choose the file you want to upload. Google Drive does more than store files. Google Drive offers a quick way to create and save new files. Files you create or save in Google Drive are automatically saved after you edit them or save a copy. Select New in the upper-left corner. Select the Google app you want to use, such as Google Docs or Google Sheets. Create the new file. After you save it, you will find it in Google Drive. Quickly open any file saved to your Google Drive by accessing it in your web browser. Right-click the file you want to open. Select the app or program you want to use to open the file.